JACOB FRANCISCO | Raising awareness of E. coli danger in food & water to prevent another tragedy and Jacob will be famous for saving lives. Sinking Creek is a beautiful 10 mile stream that flows through the south side of Johnson City in Washington County and empties into the Watauga River in Carter County, which is renowned for trophy trout. Children and their families should be able to explore and irrigate from the stream, but it is not safe for wading or irrigating in certain portions because of high levels of E. coli bacteria. The Tennessee Department of Environment & Conservation has placed warning signs at stream access locations beginning near the wetlands and downstream advising the public not to swim or wade due to unacceptable levels of coliform bacteria. Non-point sources of the bacteria are failing septic systems and runoff. In 2008, the volunteer non-profit organization, Boone Watershed Partnership, Inc. (BWP) received a $300,000 match grant from the Tennessee Department of Agriculture for the restoration of Sinking Creek by reducing the E. coli bacteria in the stream. The City of Johnson City and East Tennessee State University were vital partners identifying antiquated septic tanks and sources of potential runoff along the stream. As a result, the Sinking Creek Restoration Project eliminated twenty-four septic tanks to sewer connections, repaired four septic systems outside of city limits, fenced the Catbird Creek tributary flowing through a cattle pasture, and expanded wetlands by 2.1 acres by the end of September, 2013. BWP continues working with state & local government, community organizations, local businesses, and hundreds of volunteers to develop an environmental education park at Sinking Creek. In September, 2013, the City of Johnson City designated twenty-eight acres of its property located 1/2 mile from Mountain View Elementary School on King Springs Road for this purpose. Hundreds of volunteers have built nearly two miles of hiking trails through the woodlands and along the creek and wetlands. 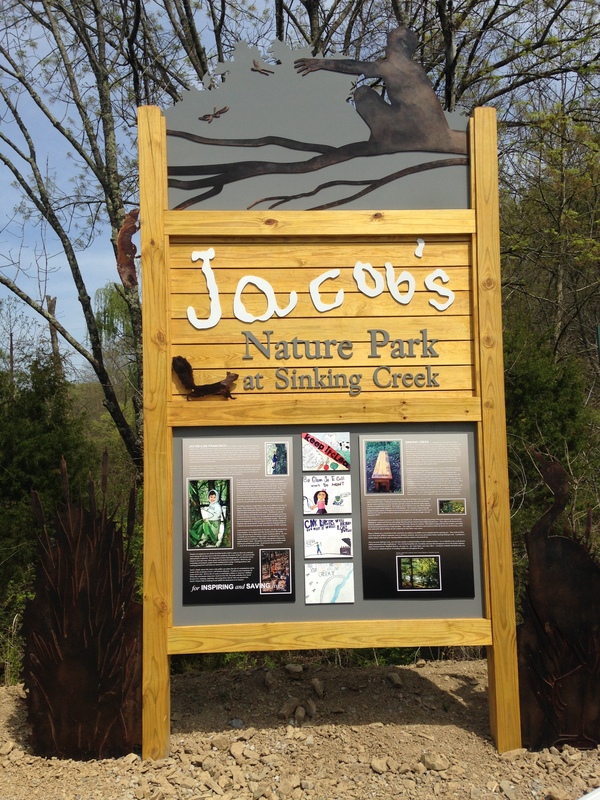 Due to the progress inspired by Jacob, the City Commission of Johnson City officially named this park development “Jacob’s Nature Park at Sinking Creek” on April 16, 2015. In 2014, the Tennessee Department of Agriculture Nonpoint Source Program awarded a $20,000 grant for an educational sign that explains the probable causes of the bacterial contamination to Sinking Creek and how it is being restored, provides information about the sources of E. coli bacteria, and teaches how to reduce the risk of contamination and illness from this bacteria. In 2016, this sign with Jacob’s kindergarten signature was placed at the main entrance beside 1214 King Springs Road. It introduces visitors to how Jacob loved to live and explains the tragedy that he endured with the goal of educating, inspiring, and saving lives. It also describes Sinking Creek and some developments of the park acreage over the years. 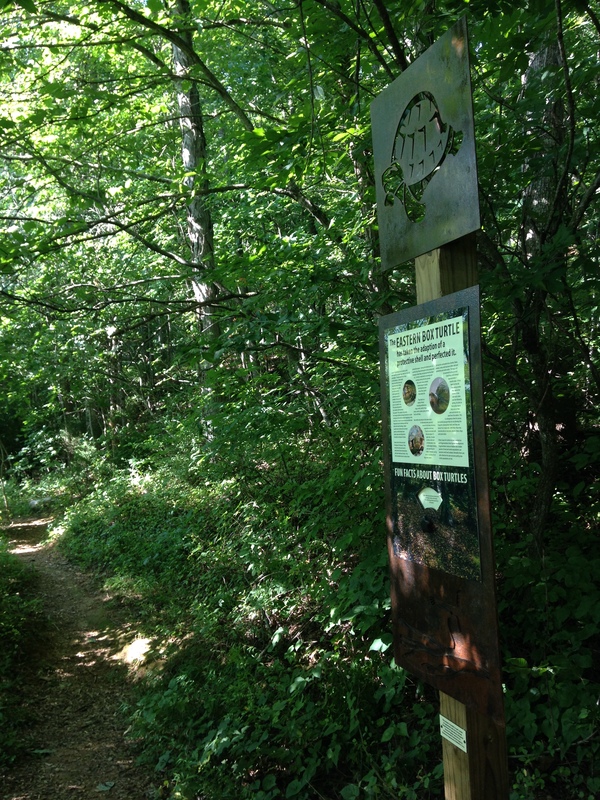 The grant also paid for three interactive signs located during the summer of 2017 along hiking trails within the park. 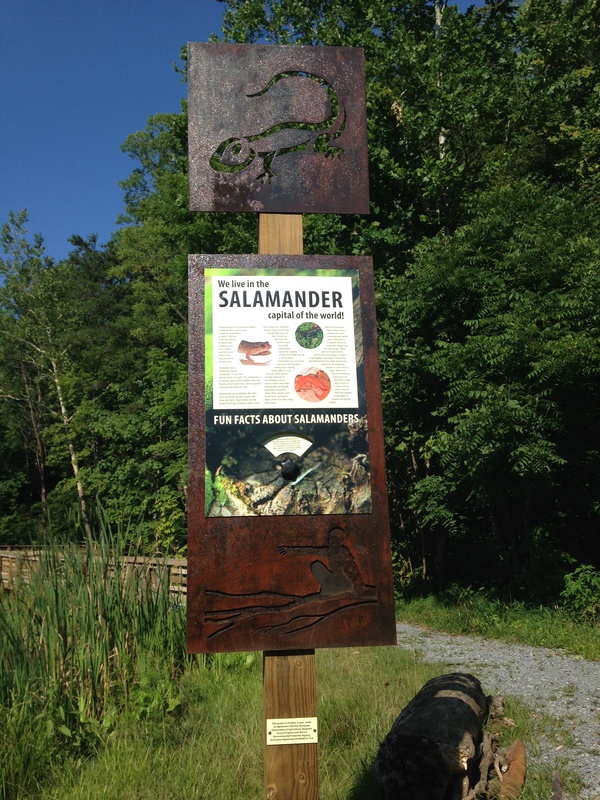 The signs teach visitors about salamanders, turtles, and pollinators particular to Jacob’s Nature Park at Sinking Creek. Essyx Design & Fabricators, Inc., located on the other side of Bell Ridge across from the park, designed and created the signs. The engineering firm of Tysinger, Hampton & Partners, Inc. drew plans for construction of an 8′ x 35′ bridge over Sinking Creek linking the woodlands trails to the wetlands with 100′ of handicap-accessible ramp/boardwalk. Gary Tysinger provided numerous in-kind hours to help launch Jacob’s Nature Park at Sinking Creek. Four-years of BWP fundraising events paid over $40,000 for the engineering and materials. 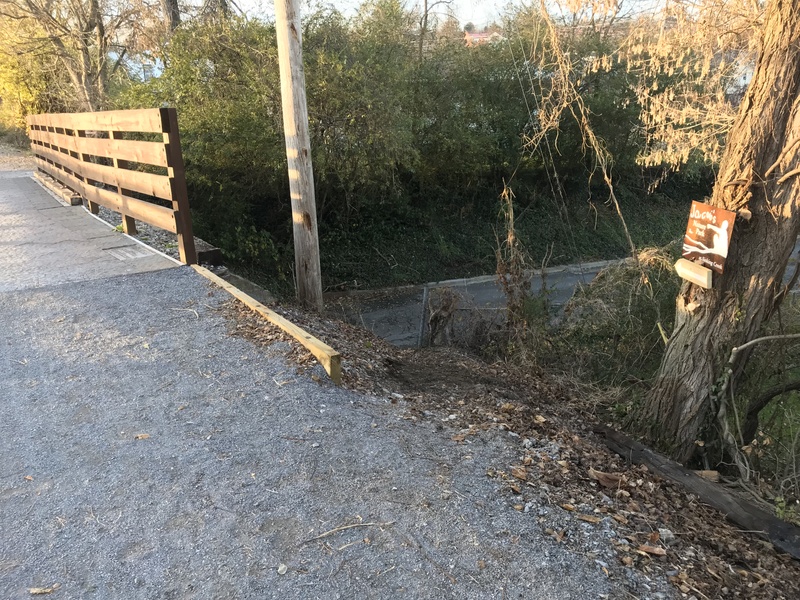 The City of Johnson City and the Tennessee Department of Corrections in-kind labor constructed the bridge and ramp with a nine-man crew and heavy equipment mid-August through mid-October, 2016. BWP has raised funds and in 2017 obtained another grant for $25,000 from the Tennessee Department of Agriculture to build a pavilion with a living roof as an outdoor classroom. Wilson Architects, Inc. designed the 20′ x 30′ pavilion with a living roof that will serve as a model for environmental construction. Prosim Engineering, Inc. is providing its structural engineering services in-kind. The Johnson City News & Neighbor published a nice article with an image of the design and a fundraising event with former Science Hill High School and current Detroit Tigers pitcher, Daniel Norris: http://jcnewsandneighbor.com/norris-appearance-to-boost-environmental-park-fundraiser-jan-9/. This project is expected to be completed during the Spring 2019. During 2018, Jeff Keeling asked about a project that the Grandview Christian Church 456 Youth Crew could complete in Jacob’s Nature Park. Jacob’s grandma had already mentioned how nice it would be if the park could have some tree and plant identifiers along the trails. 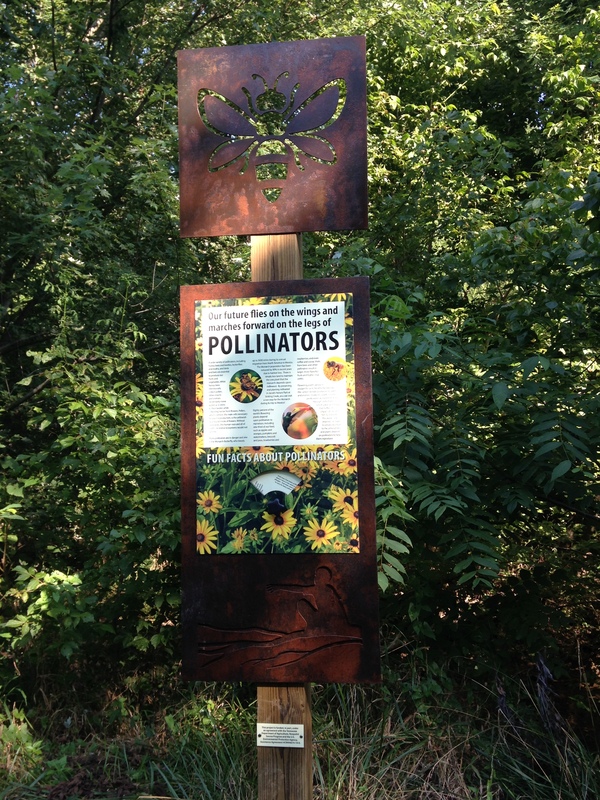 Jeff & Angie Keeling led the group with the help of Melanie Kelley, Connie Deegan, and Pat Walding to create a one-of-a-kind arboretum that identifies and links the tree species with the pollinator that it hosts. The tree markers contain the information and a Q-reader hyperlink to more information about the tree at plantsmap.com. On October 29, 2018, Jacob’s Nature Park Arboretum was officially opened as a level I certified arboretum by the Tennessee Urban Forestry Council. 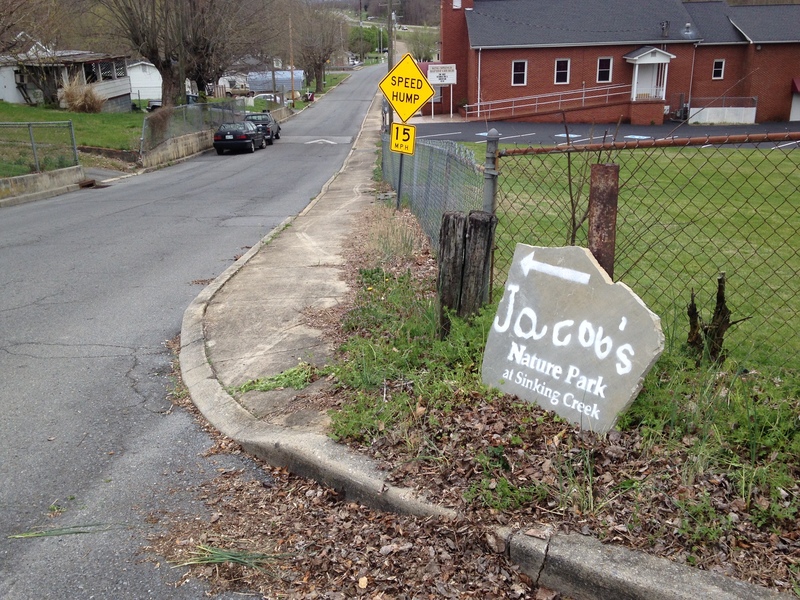 Jacob’s Nature Park is within a few blocks of the Tweetsie Trail, which is a rail-to-trail, pedestrian/cycling path linking Johnson City and Elizabethton. A story was told about Jacob’s signs he painted to advertise the painted rocks he planned to sell at a yard sale that never happened. 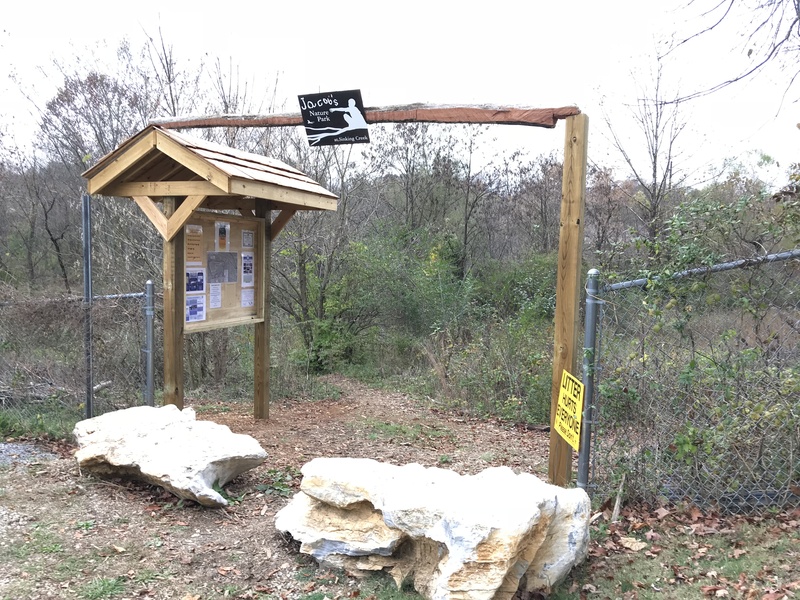 The story developed into the placement of painted rocks to guide hikers three blocks from Fletcher Crossing on the Tweetsie Trail to enter Jacob’s Nature Park at the end of Ocala Drive. A map of the park is found with a click on the hyperlink: jacobsnatureparkmap022417. 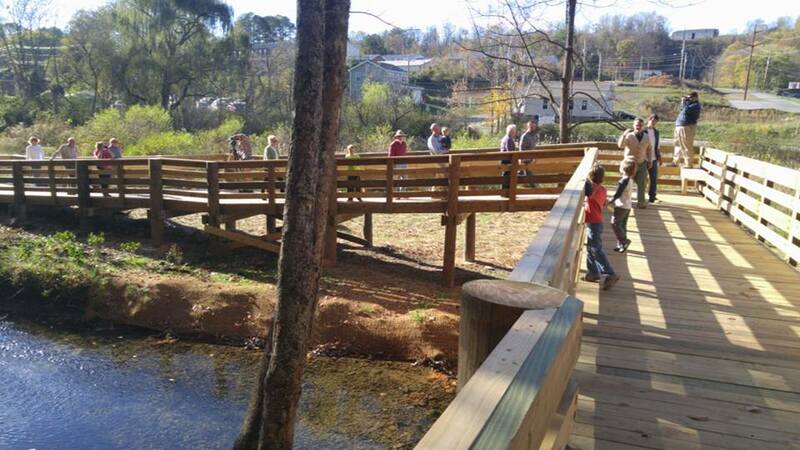 Jacob’s Project is at the forefront helping the Boone Watershed Partnership and the City of Johnson City develop this environmental education park. If you would like to financially support this development, please make your online tax-deductible contribution at http://boonewatershed.org/index.php/get-involved/donate1/; or make check payable to: BWP-Jacob’s Park, P.O. Box 774, Milligan College, TN 37682. Are you have Jacob’s Ride this year (2017)? No, but thanks for your interest. Curiosity finally got the best of me and I filled the signs from the Tweetsie Trail. I went to the end of Ocala but saw no signs. Just a dead end road. I didn’t want to trespass on private property so I just headed back to the trail. Should I have crossed the concrete barriers in order to enter the park? Your curiosity shall be rewarded with an “affirmative” to your question. It is not private property at the end of Ocala St. You will enter Jacob’s Nature Park at the dead-end of Ocala St. The barriers you saw are boulders that were removed from bridge construction at the other end of the park, and were placed there to keep out wheel traffic. More signs are coming soon! 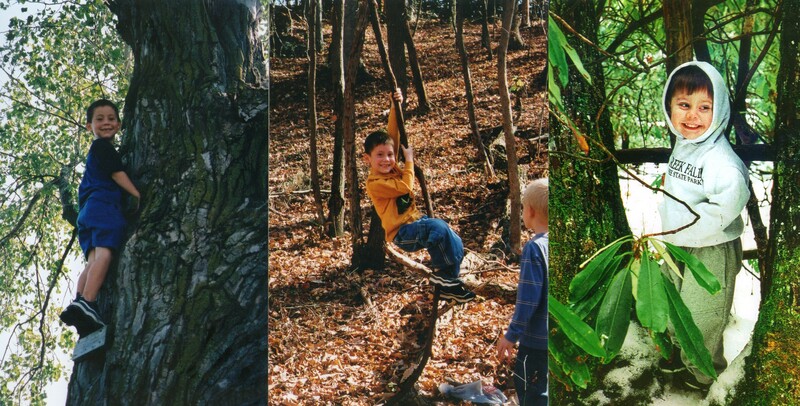 Thank you for your inquiry and sense of adventure to explore this developing environmental education park.